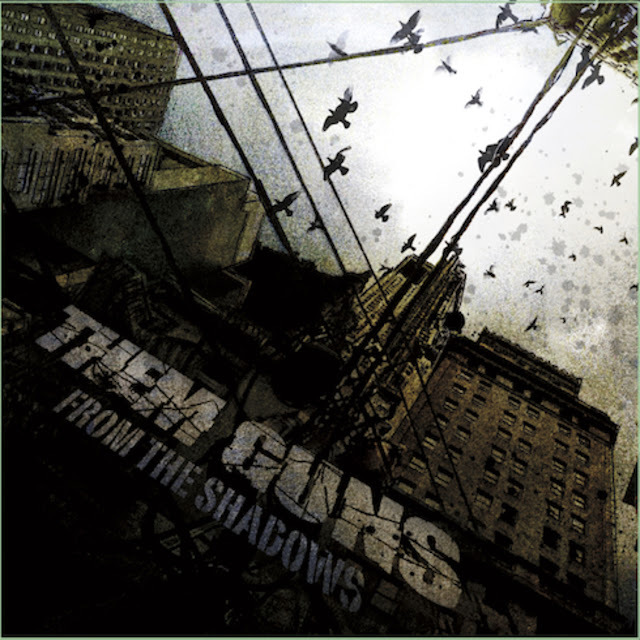 Established in 2013, California’s Them Guns is rereleasing its full-length studio CD, one titles From the Shadows, thanks to TLG and Ingrooves. Blurring the lines of genres such as electronica, dance groove, gothic rock, and modern pop music, Them Guns forges its own distinct vibe that should satisfy modern audiences and attract some old-school curmudgeons. The 12-track CD sure lives up to its name. Dark and yet playful, the music and lyrics on here weave shadow-laden tales that bring out the grotesque but also provide speckles of lighted hope. It’s an interesting mix, walking the line of gothic sensibilities with pop rock, but man does it work for Them Guns. Musically, the band uses its rhythm section to set the groove of each song. Bassist Chuck Holiday and Drummer Chris Hudson tap into the vibes of electronic and goth to establish a restrained backbeat, with Hudson’s percussion relying on driving beats underscored by the catchy bass licks of Holiday. Guitarist Navarone Garibaldi and keyboardist Kyle Hamood are out front, with guitar riffs playing off keyboard pieces and vice versa. The guitars tend to have a hardened edge, enabling the keys and synthesizers to be softer and melodic. However, the combined result is right out of pop music, only darker. It’s an interesting sound. Garibaldi also tackles the lead vocals, with backing vocals courtesy of Holiday. Garibaldi has his vocals on point, using a comforting croon that hints at both pop and goth. There’s a hint of sadness in his delivery, but it is never maudlin. Instead, there’s always a hint of playfulness in his approach, one complemented by the guitar hooks and the keyboards. 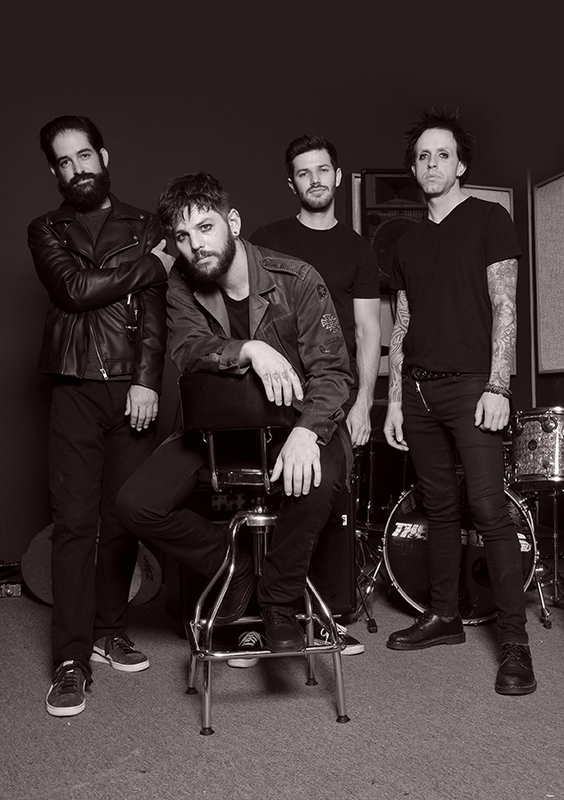 Lyrically, the band enjoys staying in the shadows, tapping into the worries and angst of teens but always with a dash of sober advice. Hence, there’s the opening track, “Everybody Bleeds,” which warns about the dangers of abdicating freedoms (“It’s only work and no more fun/Then they come to take them guns”) and the sobering consequences of those who say one thing and mean another (“Listen, girls, I’d like to say/If I tell the truth, I’m taking it away”). The gothic tracks are a welcome sound, with songs like “Close your Eyes,” “Devil’s Eye,” and “Muffins” amping up the pop sensibilities to ironically mask haunted and pain-saturated feelings found in the lyrics. Other tracks delve deeper into electronica with a distinct dance vibe, such as “Horoscope,” “Lost Boys,” and “Hand Me Your Heart,” with special effects even tainting Garibaldi’s vocals. Even in these songs the band taps into the darkness when it comes to the words, but the music provides an upbeat sound with electronica serving as its base. A possible third vibe is a mix of electronica, goth, and rock. 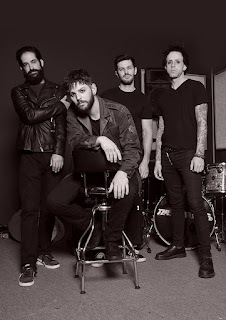 This sound comes through on songs like “The Right Way to do Wrong,” “The Rise,” and “Heard it all Before,” with all three genres mixed in a cauldron that creates a catchy vibe, danceable beats, and just enough angst to make those into the words think about stuff for a while. Fans of electronica, gothic rock, and pop rock should check out From the Shadows from Them Guns. The cross-pollination of genres is a welcome surprise, and the talent behind the instrumentation and words comes through, despite the easy access to the pop structures. Yeah, you can dance to it, but you can also just sit back and let the words do their thing while your eyes are wide shut.